My entire body is sore. And sunburnt. 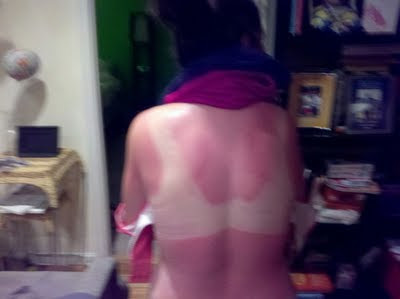 But the sunburn is because I refused to listen to Danielle when she told me to put on sunscreen before napping face-down in my sports bra before the fourth leg of the race. That's what I get for not listening to my captain. Also, I am absolutely obsessed with the girls from my team. After almost 36 hours in the car together, there were very few things that we DIDN'T talk about. I woke up this morning and was almost sad that I wasn't in the van next to them.